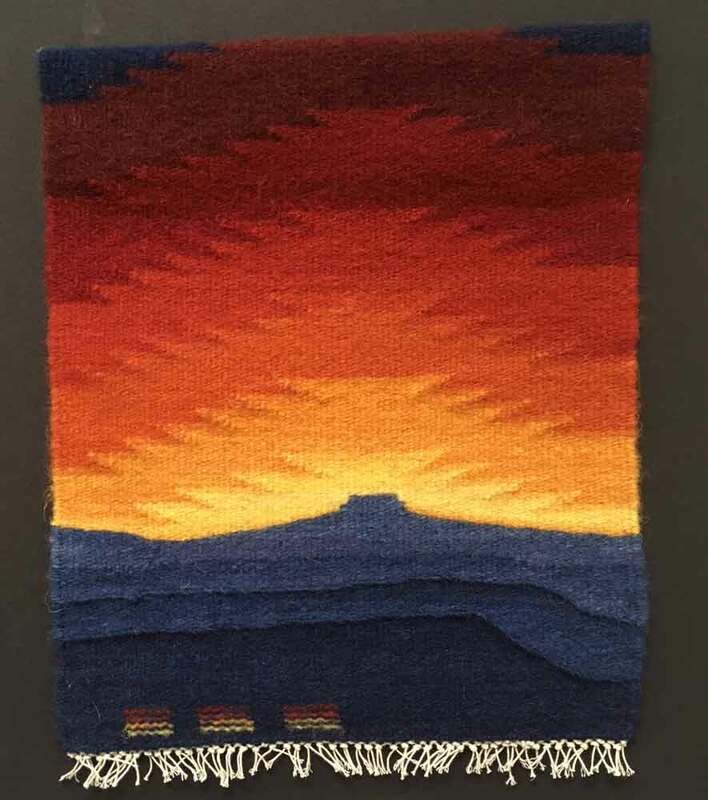 One of the many pleasures I've had while attending HGA's Convergence and ATA's annual meeting and retreat in Reno this past week has been viewing this show of over 200 tapestries measuring under 10" square. I'm going to share with you a few of my favorite pieces from the show, but you can enjoy them all at your leisure by ordering a catalog from ATA HERE. 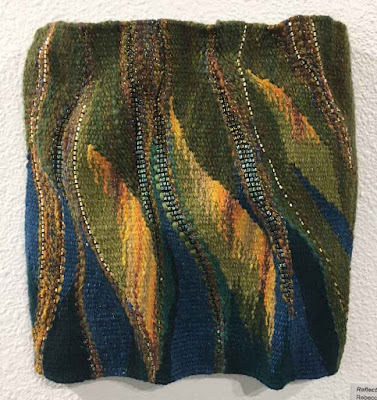 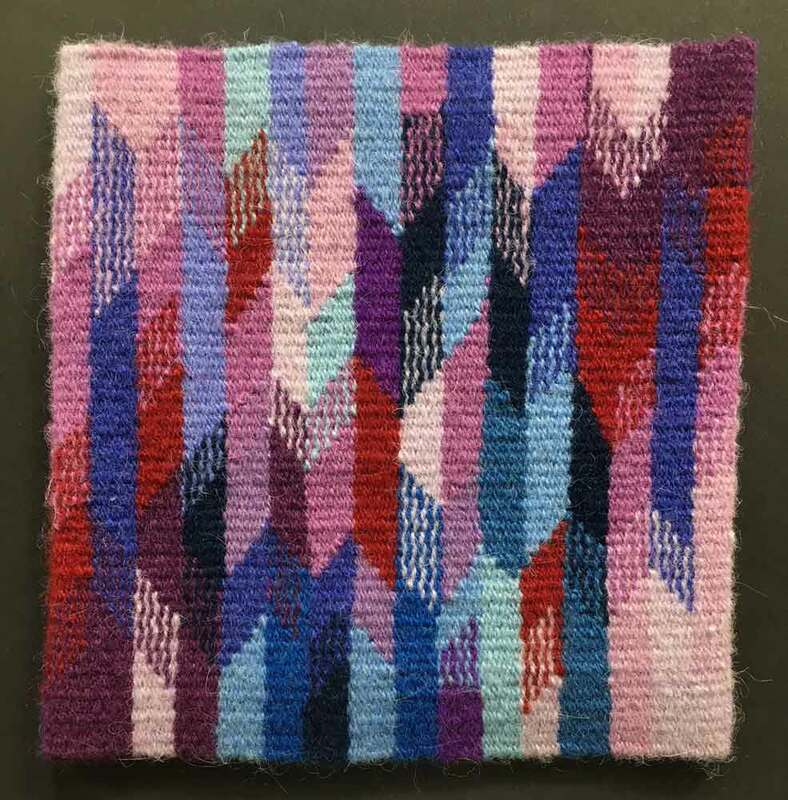 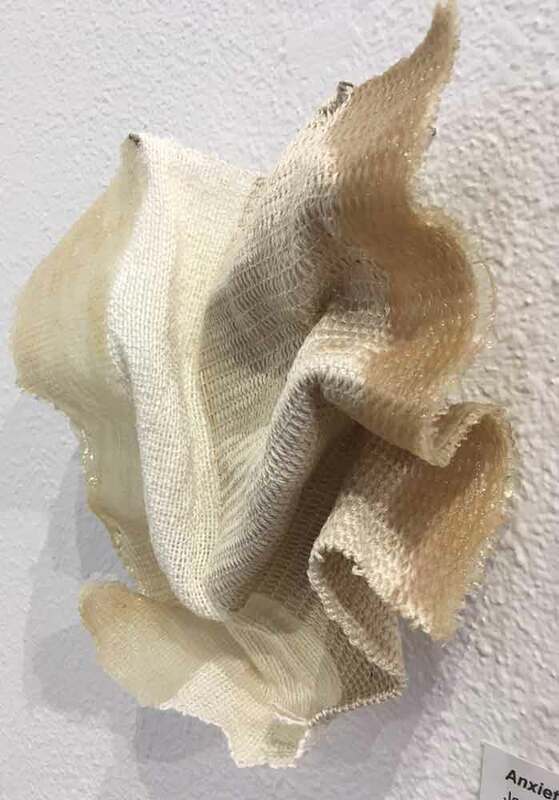 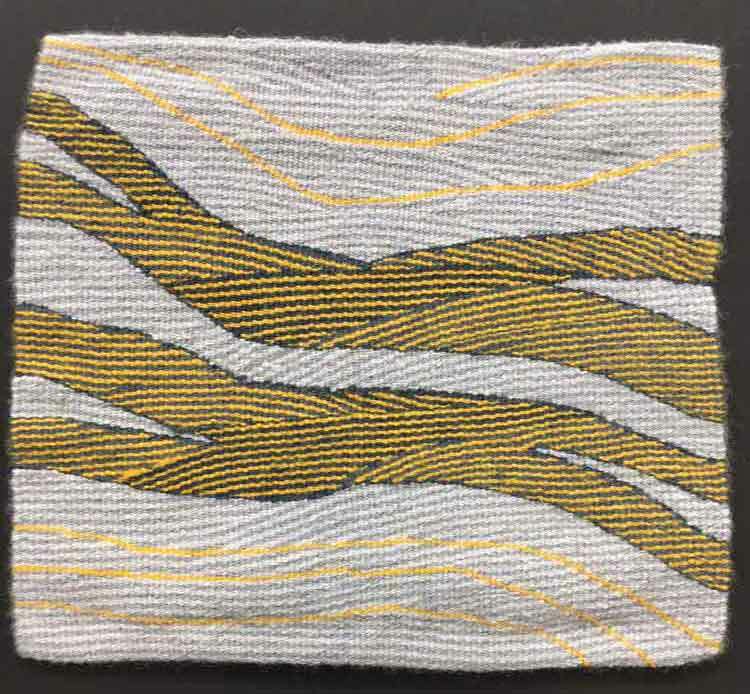 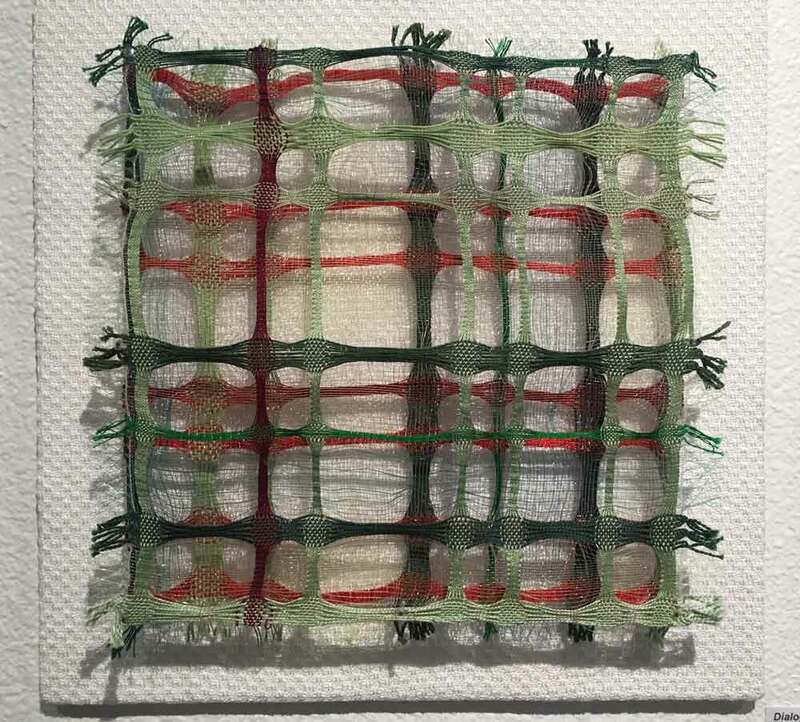 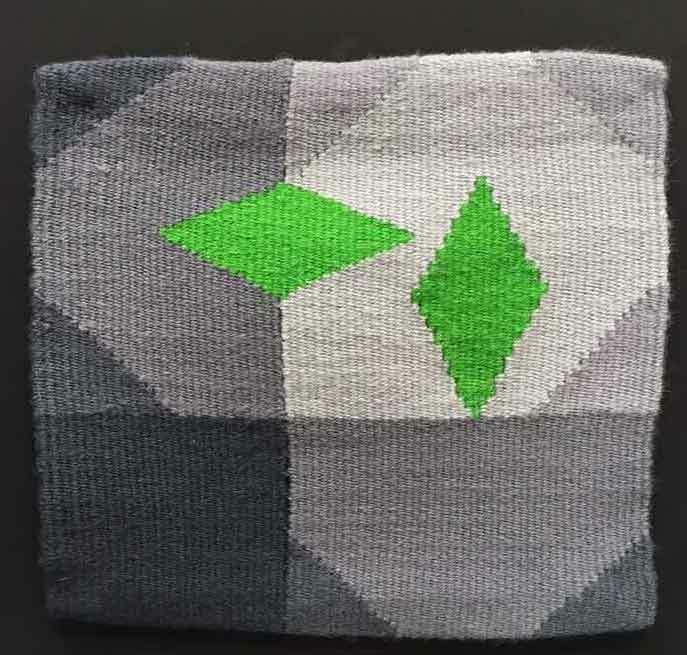 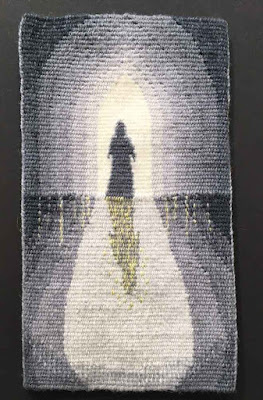 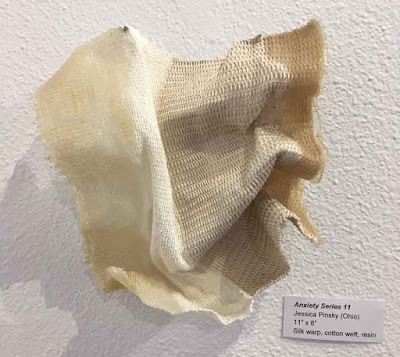 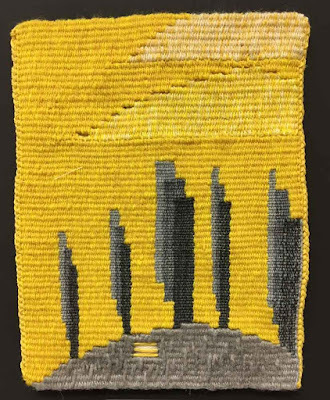 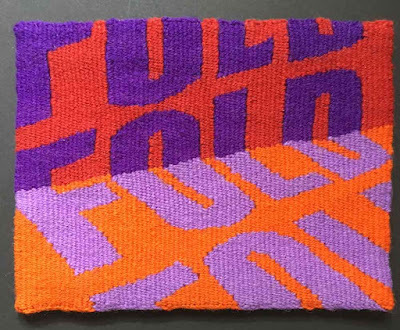 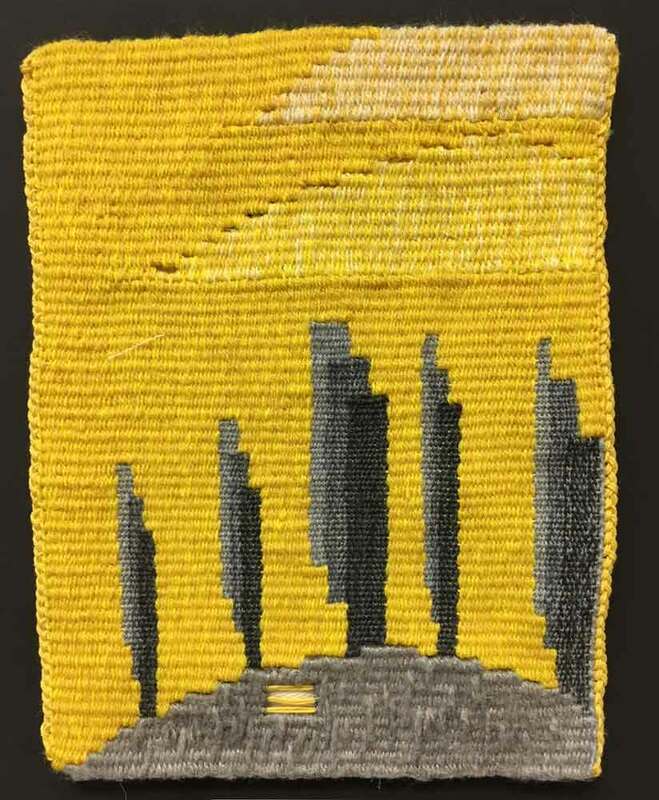 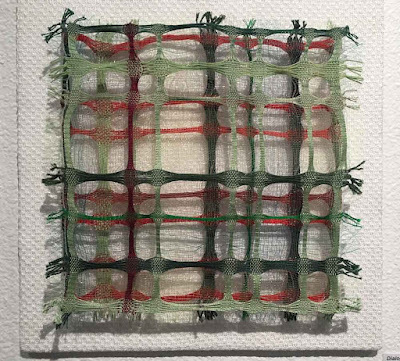 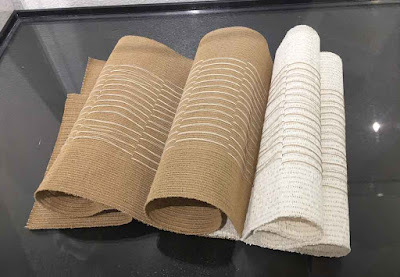 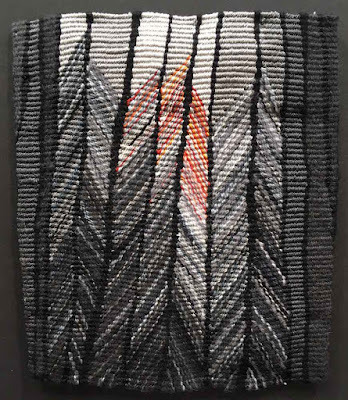 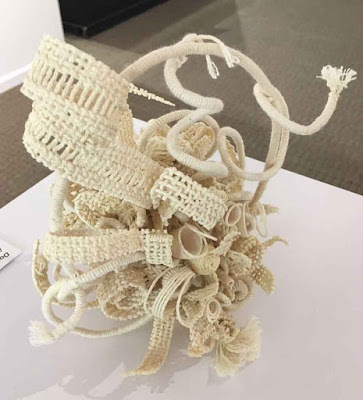 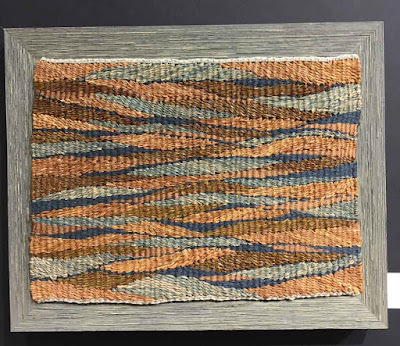 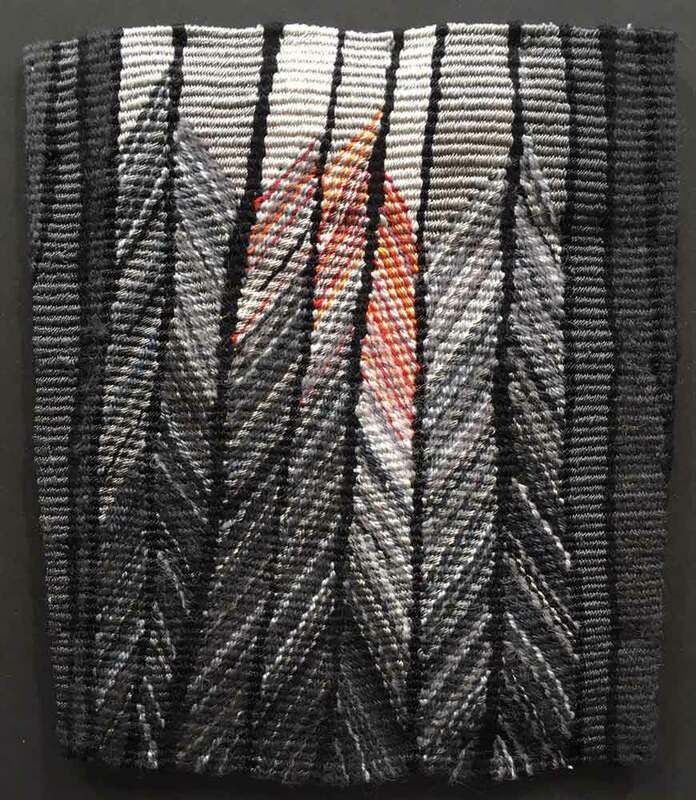 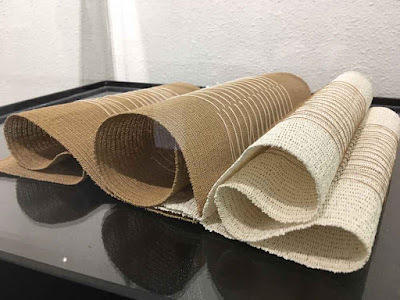 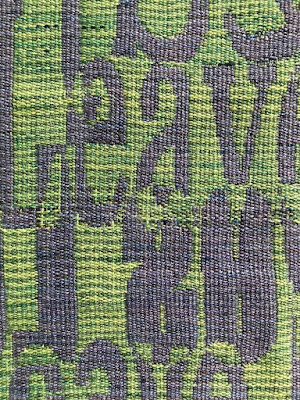 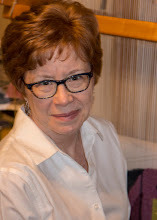 For a couple of decades now, the small format unjuried show has been a great chance for weavers from all over the world and of all levels of experience to show their work. I did not enter a piece this year. 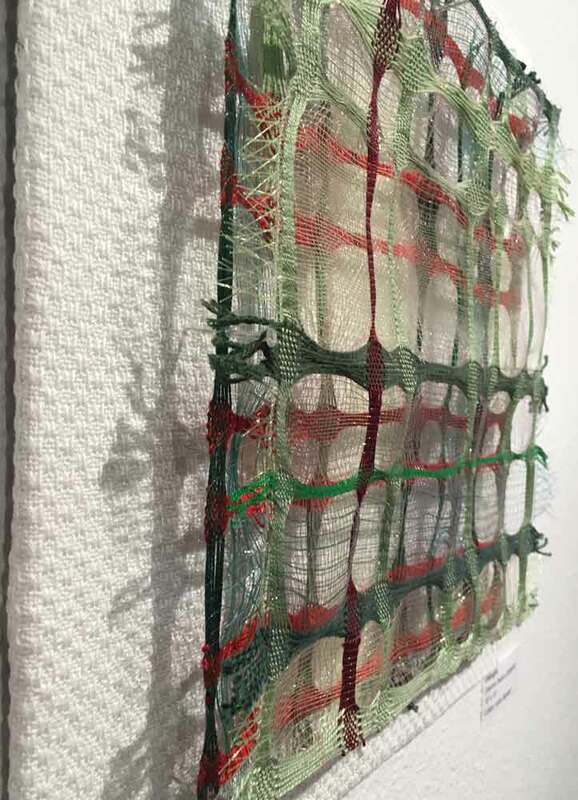 But visiting the exhibit offered an instructive look at the challenges and rewards of working at a small scale. 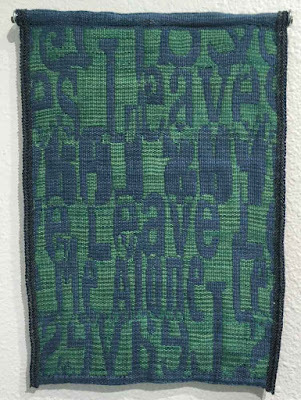 Of course opinions on what constitutes a successful work of tapestry art vary widely; we all have differing tastes. 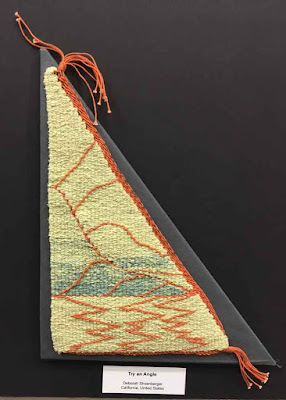 When I catch myself looking at tapestry lately, I'm noticing I gravitate toward pieces with graphic simplicity, a limited palette, or an uncomplicated composition. 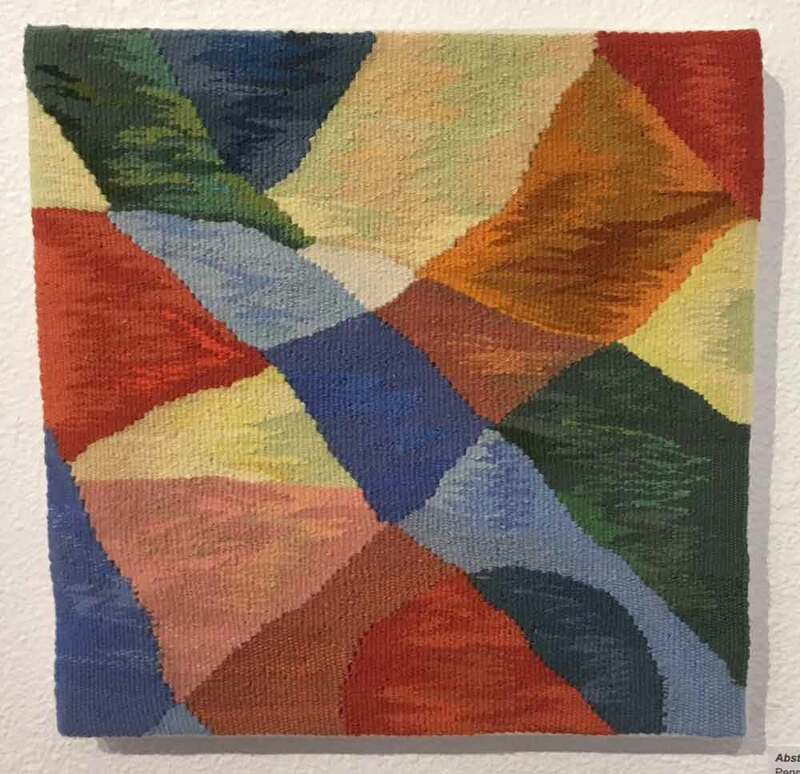 Here are a few where a limited palette made a strong statement to my eyes. My students know I like to preach about how value is more important than color; you can see in the pieces that are mostly in grayscale how true that is. 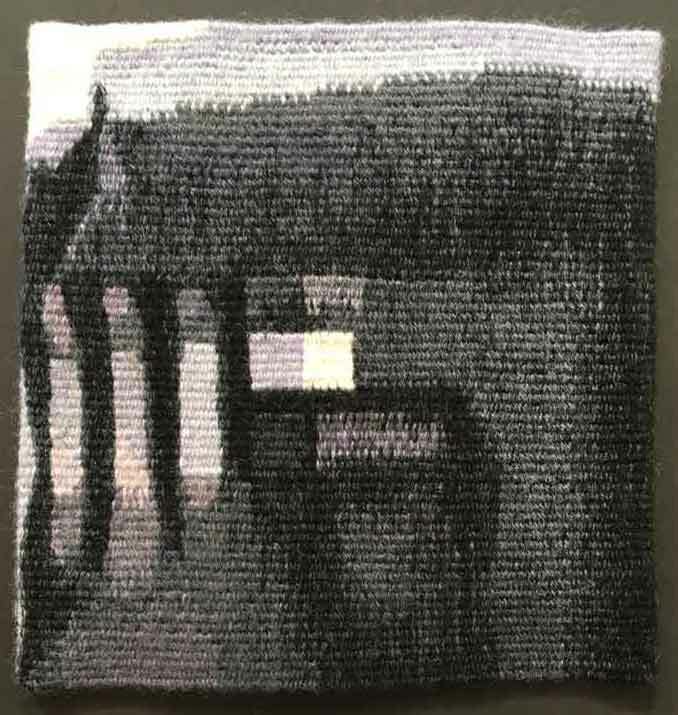 With effective light-dark contrast you almost don't need color! 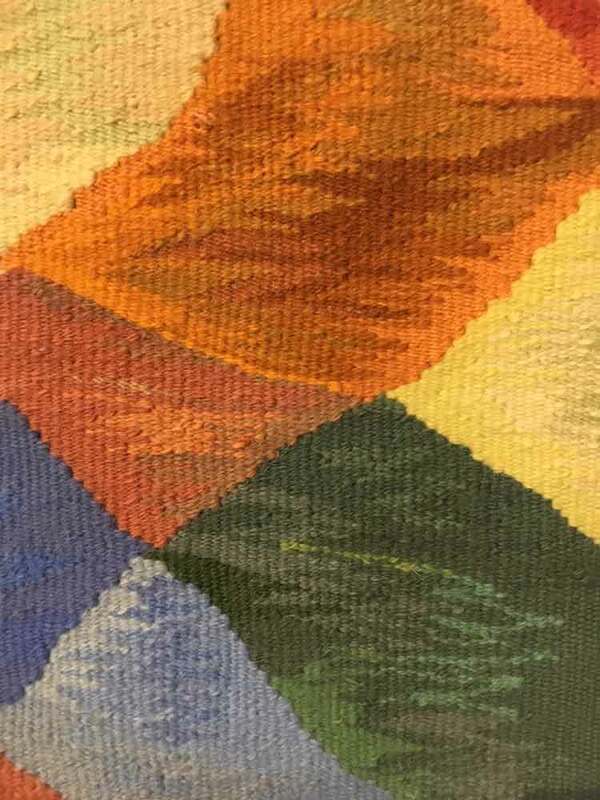 When there is color, its proportion and amount are carefully calibrated for maximum impact. 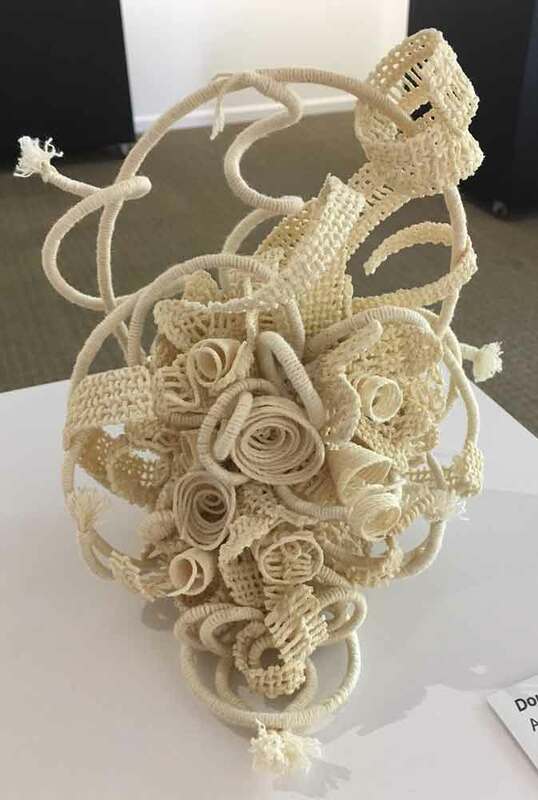 Of course all these pieces also owe their effectiveness to strong composition and excellent technique. I want to turn now to the tapestries whose bold, simple compositions make an impact. 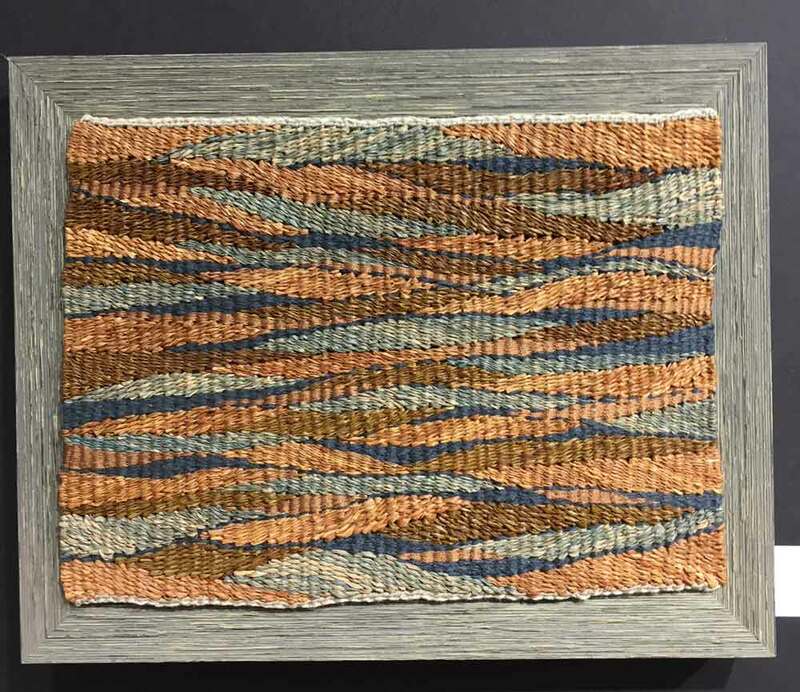 One of the things I especially love about this group is that in many of them, the weaving techniques and format create the image. 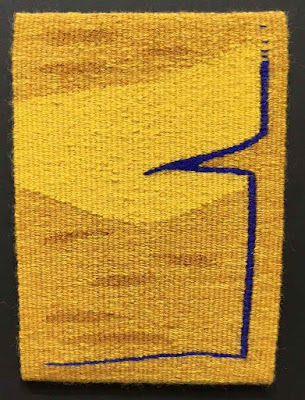 Wedge weave, eccentric weave, a triangular shape, an adaptation of traditional Navajo design, are not arbitrary choices superimposed on an image but are integral to the overall image. 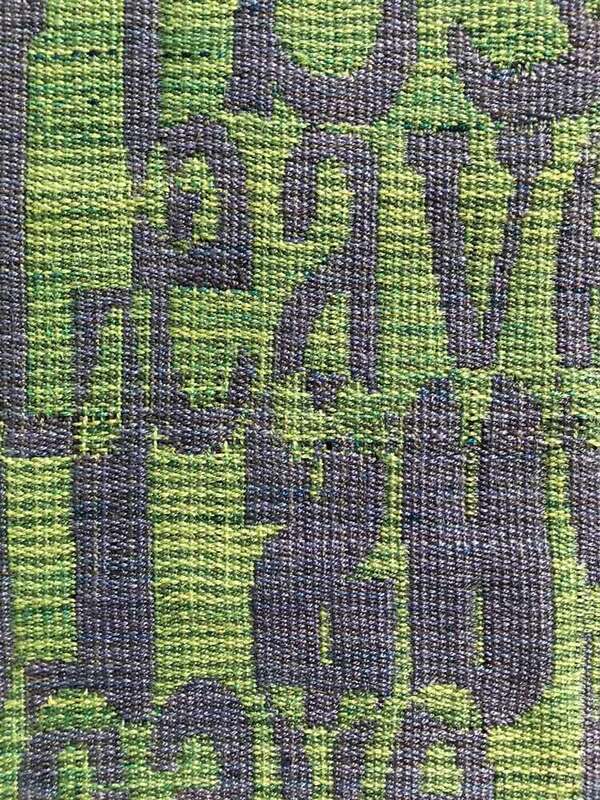 This is an "aha" moment I will carry back to my studio, something I will continue to strive for in my own work. 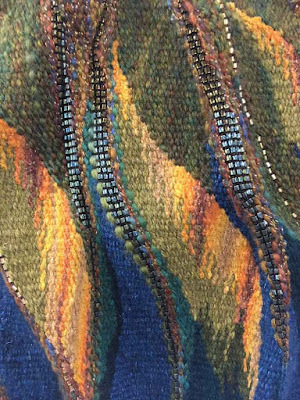 Stay tuned for more from the exhibits and classes at Convergence and ATA!